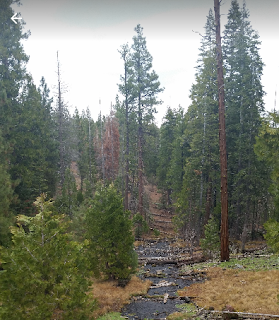 THPBlog: Sierra Pacific Industries to clearcut log NE of Bieber, CA. Sierra Pacific Industries to clearcut log NE of Bieber, CA. This THP is about 22 miles NE of Bieber, CA and about 16 miles west of Canby, CA and Highway 299 at an elevation of 4,300 to 5,200 feet. Sierra Pacific Industries is planning a mostly clearcut tractor based logging operation in ponderosa pine, incense cedar and white fir forests. There is a goshawk nest tree .35 miles NW of the nearest harvest unit in section 18, and a goshawk nest tree .25 miles NW of the nearest harvest unit in section 19. Silvery false lupine was found within and adjacent to units 113C, 113D, 124B, 124C and 124D, Susanville milkvetch was found alongside unit 228B and outside of unit 232A, Sierra beardtongue was found within and adjacent to units 105A, 220A, 221A, 231A and 236A, and long haired star tulip was found within and adjacent to units 105A, 220A, 221A, 231A, 232A, and 236A.